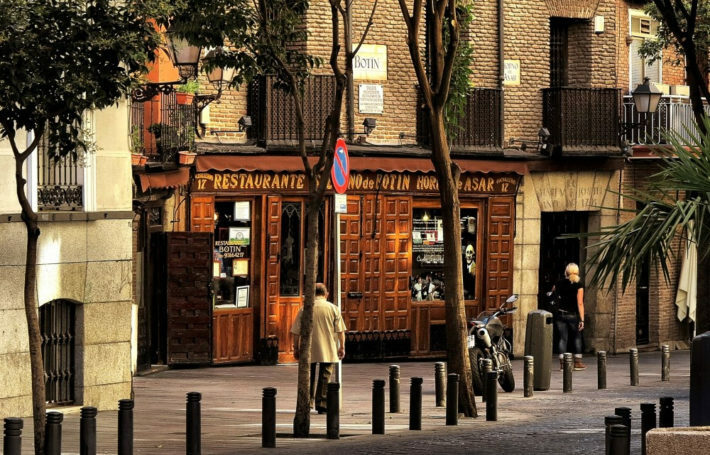 Opened in 1725, officially the oldest restaurant in the world Sobrino de Botín can be luckily found in Madrid. Still roasting dishes in the huge oven that is there since opening, it is everyone’s favorite, so don’t be surprised to find it packed and be sure to stay for this experience. Craving Tortilla española (Spanish potato omelet)? Casa Dani is the one that offers the local comfort food cooked to perfection, which means it has a well done exterior and quite a gooey interior. 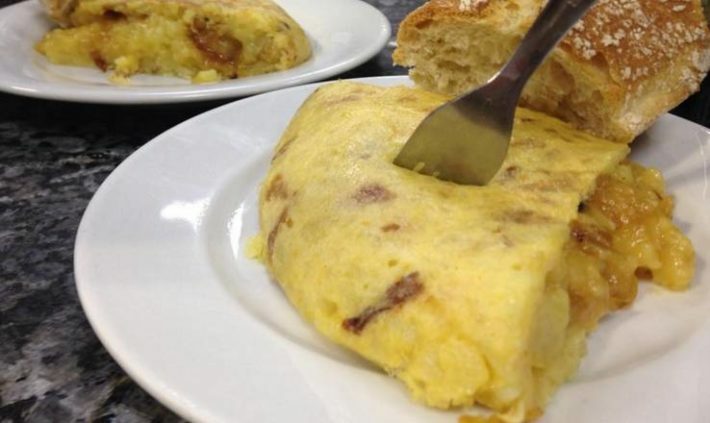 A lot of places offer the so-called tortilla de patatas, so make sure to go to the best one. How far would you go for the best cocido Madrileño (Madrid-style chickpea and meat stew)? I am pretty sure a half-hour metro ride is nothing, right? 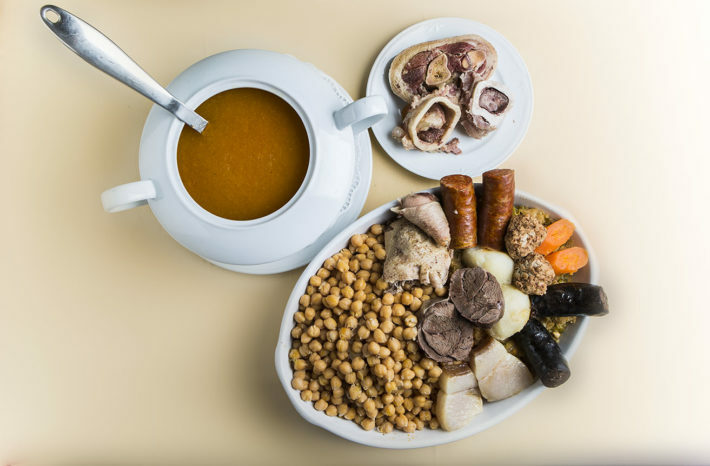 Cruz Blanca Vallecas has no matches when it comes to traditional Spanish stew. It is well known for the quality of these rustic dishes, so make sure to book a table a lot in advance. The only restaurant in Madrid holding three Michelin stars DiverXO, led by Chef David Muñoz, is something out of this world. 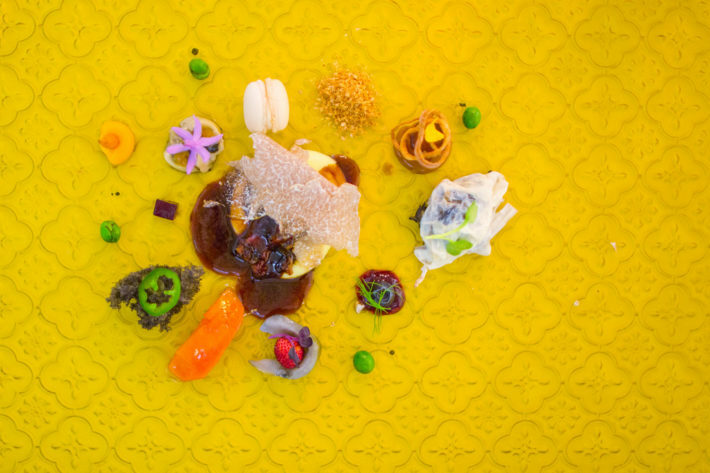 Looking for a different, imaginative, avant-garde, groundbreaking food in a likewise atmosphere? Collecting such experiences? You should definitely pay a visit then. But make a sure to reserve a table in advance, as it tends to be booked months ahead. 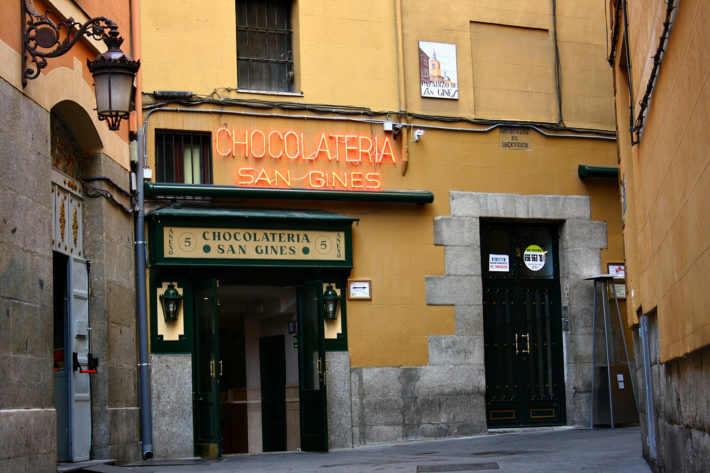 Stop by the oldest and most famous Madrid’s Chocolatería San Ginés and have the traditional combo of churros (long dough sticks made from flour, water and salt) and chocolate, which is served thick and steaming hot in a cup to dip the churros in. A bar which allows neither photos nor tips, a bar where bartenders keep track of what you drink by writing it down on a bar counter with chalk, where a black cat wanders around the tables, a bar where only Sherry is served – that is La Venencia. If that is not enough, it was one of Hemingway’s favorites. Do I really need to continue? 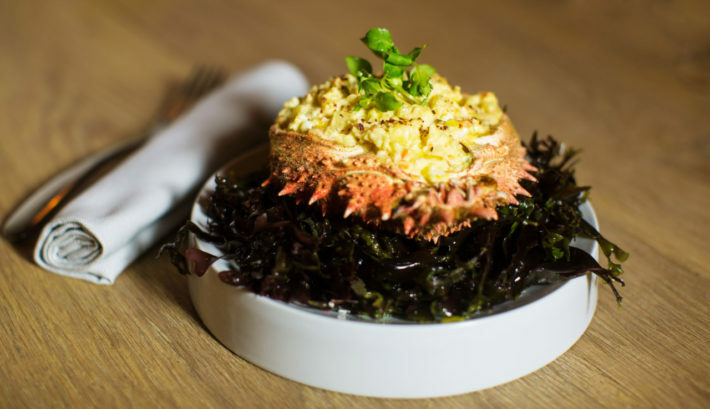 Depending on what catch the suppliers offer each day, the menu will be adjusted accordingly in Bistronómika. Which basically means that the seafood will be as fresh as it gets. It is as simple as that. Obvious from the name, La Bodega de los Secretos is a hidden gem in Madrid’s spectrum of restaurants. 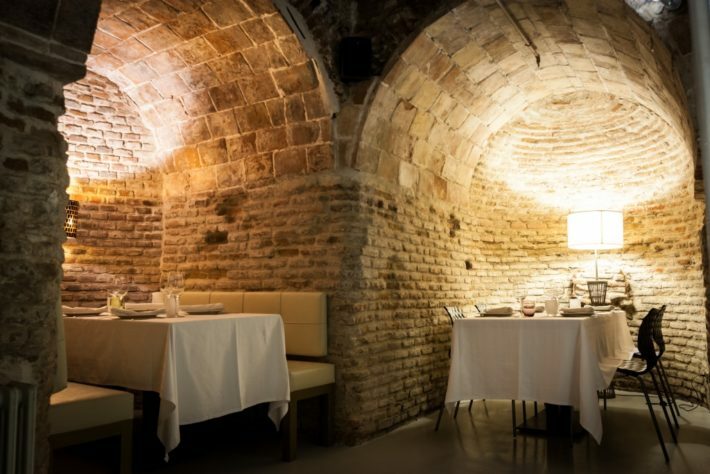 Not only is it in a quiet area, but it is also situated in a labyrinth of underground wine cellars, which make the restaurant even more special as the location dates back to the 17th century. The menu features mostly modern Spanish dishes, yet it does have some international influences as well. …The list goes on and on, as Madrid is definitely packed with extraordinary places and any foodie here fill find a favorite. One more to a long list of reasons to visit Madrid!